Dr. Carlos Boudet, DDS, DICOI is a graduate of the Medical College of Virginia. After graduating with a DDS degree in 1980, he became a commissioned officer for the United States Public Health Service. His tour of duty ended in 1982 when he was given an award for outstanding service and was asked to serve as Dental Director of four dental clinics for Florida Community Health Centers, Inc. He established his dental practice in West Palm Beach, Florida in 1983 and has been in the same location to the present date. 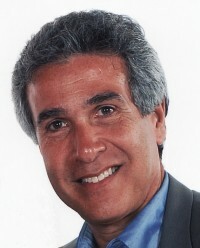 He is a Diplomate of the International College of Oral Implantologists, a member of the Central Palm Beach County Dental Society and Past President of the board of directors of the Atlantic Coast Dental Research Clinic, a non-profit provider of continuing education for dentists, where he has chaired continued education courses in advanced crown and bridge and Cad/Cam dentistry. Dr. Boudet enjoys writing and his articles have been published in several popular dental magazines. Choosing a dentist is an important decision. You want someone who is caring, knowledgeable, and accessible. Someone willing to take the time to go over all of your options and treat you with the courtesy and honesty you expect. We will be glad to give you an estimate of costs. I’d like to thank you for the information provided in your blog. It is one of the best blogs on the subject that I have seen on the internet. Admiring the hard work you put into your site and in depth information you provide. It’s awesome to come across a blog every once in a while that isn’t the same out of date rehashed material. Wonderful read! I’ve bookmarked your site and I’m including your RSS feeds to my Google account.